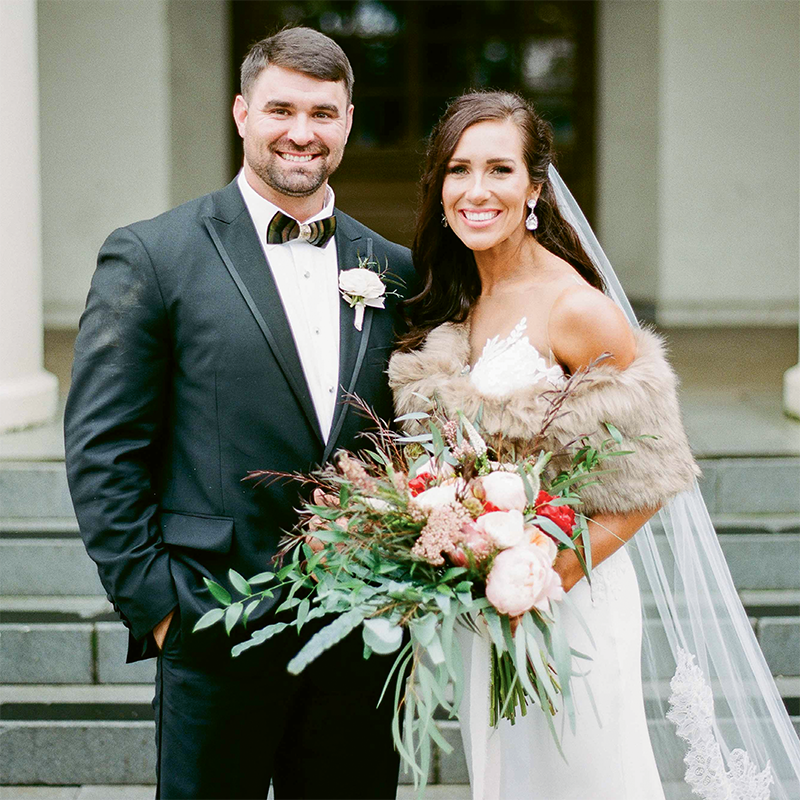 Clint, at the time a heavyweight bodybuilder and reigning Mr. South Carolina, and Anna, then a figure competitor, instantly bonded over a shared love of fitness; a few workouts sparked their relationship. The couple’s Saturday-morning ritual of watching the sunrise turned into a proposal when Clint got down on one knee at Waterfront Park. As the sun broke the horizon, he placed onto Anna’s finger the diamond her mother wore for 30 years. The intimate wedding was held in front of family and friends at Merchants Hall on Market Street.